You won’t find a more hard-working medicine for your cat than prescription Revolution. Selamectin, the active ingredient in this topical treatment, combats a host of parasites including fleas, heartworm, hookworm, roundworm, and ear mites with an easy-to-apply topical treatment. Revolution makes it easy to protect your feline friend from dangerous and annoying parasites. The topical treatment is formulated to penetrate the skin and enter the bloodstream to provide systemic protection for one month. 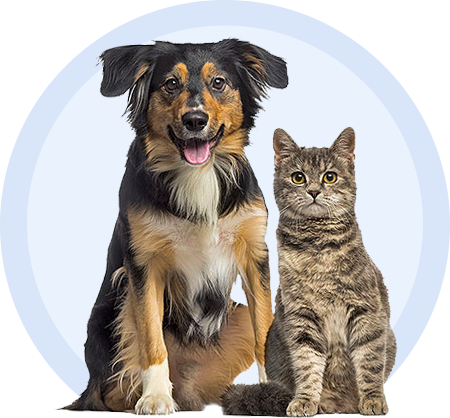 Just one application of the powerful active ingredient Selamectin treats and controls fleas, hookworm, roundworm, and ear mites. • Safe for cats 8 weeks of age and older. • Safe for pregnant and lactating cats. • Follow dosing directions exactly - don’t give your cat more medication than directed and don’t skip doses. • Read the label carefully for information about storage, possible side effects, and drug interactions. For additional information about Revolution for cats, click the “More Information” and “Package Insert” tabs above. If you have questions or concerns about Revolution for Cats, or conditions related to its use, contact your pet's veterinarian or pharmacist. *This link opens in a new window. You can find a package insert which provides more detailed information on Revolution for Cats' indications, forms of administration, and side effects along with other clinical information by following the link below. A Client Information Sheet provided by the manufacturer contains a summary of important information to know before using Revolution on your cat. This sheet can be viewed by following the link below and should be reviewed each time your cat's prescription is refilled. Revolution Package Insert and Client Information Sheet do not take the place of instructions from your veterinarian. Talk to your veterinarian if you do not understand any of the information provided in these documents or if you have more questions about Revolution for Cats.